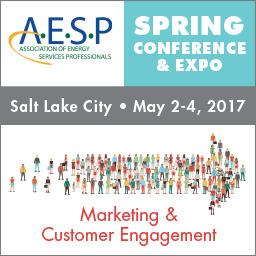 AESP’s Spring Conference will be a dual track conference focusing on marketing and customer engagement. Marketing sessions will focus on innovative targeted or mass media marketing tactics and campaigns inside and outside of the energy efficiency industry. Customer Engagement sessions will focus on tactics, strategies and results related to program participant recruitment and retention. Both tracks will provide attendees the opportunity to learn about marketing and customer engagement strategies. 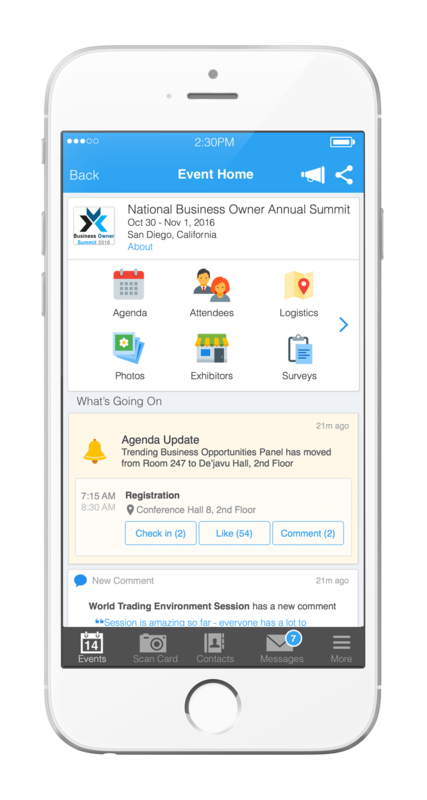 More than 200 attendees are expected to attend and take advantage of the conference sessions, training courses, networking and special events. Join us in this engaging conference where we learn about some of the successful tactics that utilities are using to increase engagement, hear of the newest research on customer behavior, and discover some cool new tools to effectively market to customers right now. Bio: As Director, Analytics Strategy for Blast Analytics & Marketing, applies her vast analytics, project management, and leadership experience to help our client teams deliver the best analytics consulting solutions possible. Specifically, she works closely with clients to develop reports and analyze data, identify trends and relationships between different types of data, draw appropriate conclusions, and translate findings into marketing and sales strategies that drive revenue. Bio: Amanda Gassé is the Business Development and Content Manager at ERS. Amanda has over five years of experience in social marketing in the energy efficiency industry and manages the content marketing website, Zondits. She collaborates with staff at ERS to develop and implement behavior‐based campaigns to mobilize energy‐saving actions and evaluate the effect of program design elements. She manages and analyzes website metrics and social media channels to measure their effectiveness and to increase user engagement. 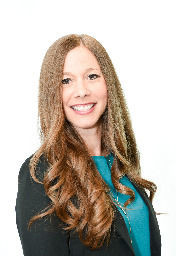 Amanda manages the RFP and proposal process, along with public relations, and strategic business partnerships. Bio: Ashley Nicholls is a Principal at KSV. 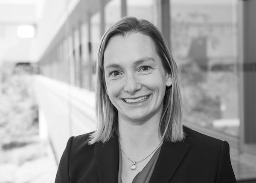 As the Director of Energy Strategy, she focuses on leading the strategic, creative and connections teams on our smart product, connected home, energy, energy efficiency and utility clients. She is focused on #smart consumers and how to make brands and products relevant to them. 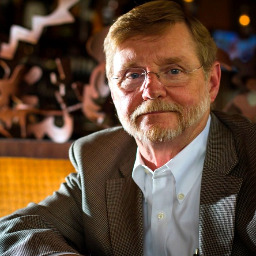 Bio: Barry Ledford manages the Kansas City Power & Light Thermostat Program for CLEAResult. The Kansas City Power & Light Thermostat Program is a Residential Demand Response Program utilizing paging and Wi-Fi thermostats with over 63,000 program participants. Barry also manages the Kansas City Power & Light Home Protection Program. Prior to joining CLEAResult, Barry worked for 8 years in various roles in Civil Engineering and Project Management. 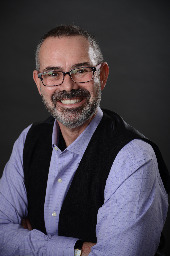 Bio: Bob Collins has more than two decades’ experience working in marketing, market research, CRM and related roles in a variety of sectors: retail, financial, telecom, alcohol, advertising and, for the past eight years, energy. He is currently the manager of market strategy in the Conservation and Corporate Relations Division of Ontario’s Independent Electricity System Operator and a member of the AESP’s Board of Directors. 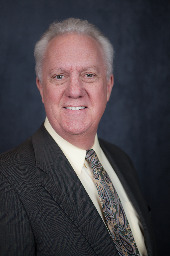 Chief Solutions Officer, Bayboro EC, Inc.
Bio: Bob Mason is an advocate of utilities providing more diversified, competitively-based and technology-oriented services to their customers. Mr. Mason has worked with investor-owned, cooperative, and municipal utilities throughout his 45-year career. His focus centers on coupling engineering principles with technology and marketing strategies to achieve highly effective energy-efficiency program designs. Bio: In his role as Lead Product Manager at Clean Power Research, Brian is responsible for driving the evolution of the WattPlan and PowerBill products. This includes the development and commercialization of software services that help simplify complex energy decisions. Brian works closely with utilities, dealers and financiers in the solar, electric vehicle and other DER industries to deploy software that helps them and their customers make informed energy decisions. 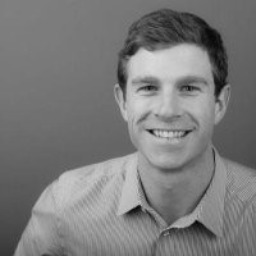 Prior to joining Clean Power Research, Brian co-founded Ecowell, Inc. and worked at a cleantech startup, Infinia Corporation. 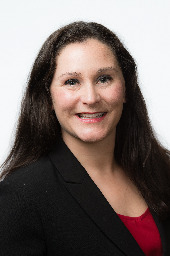 Director of Strategy, AM Conservation Group, Inc.
Bio: Danielle Marquis is the director of strategy for the AMG family of companies, which includes AM Conservation Group, GoodCents, Service Concepts and Niagara Conservation. She leads the development and execution of product, service and partnership strategies, while conducting periodical deep-dives and critical analysis on a project basis in and around strategic imperatives and growth areas for the family of companies, throughout North America. Her background is in branding and marketing, and she is the Vice Chair of Education for AESP’s Board of Directors. Bio: Elizabeth Scoville is an experienced digital communicator with a commitment to transformative customer experience. As VP- Content, Creative & Brand Marketing at Questline, she drives creative excellence and analytics-based strategies to achieve winning results on behalf of Questline’s energy utility clients. Bio: Holly heads up Brand Cool’s research and strategy. Her specialty is helping clients approach engagement differently to find what works within their own environments. 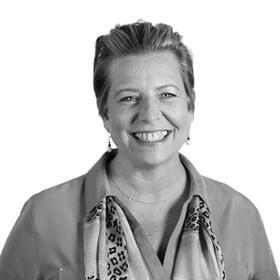 She has helped to develop campaigns for many energy organizations, including NYSERDA, PG&E, NEEP, Efficiency Vermont, and the NFRC, along with Fortune 500 clients like Mobil, Motorola, Xerox and Sprint. In her spare time, she teaches branding and marketing to entrepreneurs in upstate New York. Bio: Indy is responsible for product direction, corporate strategy, and content development at FirstFuel. FirstFuel is the world leader in utility-scale energy intelligence, using advanced analytics to help 30+ energy providers in North America and Europe improve sales productivity, increase revenue and program participation, and boost customer engagement and satisfaction for their business customers. By combining data science, building science, and software, FirstFuel’s SaaS platform derives intelligence from over 3 million meters, transforming energy providers into trusted advisers to their business customers. Indy has worked closely with FirstFuel’s utility and government clients since the company’s inception. 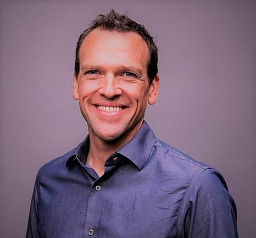 Prior to joining FirstFuel, Indy was a Principal at The Boston Consulting Group, where he drove efforts to launch and grow businesses in energy, software, security and semiconductors with several Fortune 100 clients. Bio: Jamie Staples is passionate about helping utilities, and their customers, save energy & money. He currently works on the Business Development team for Nest Labs where he drives program development, strategy, and execution of thermostat-enabled DSM initiatives. Over the course of his career in the energy sector, Mr. Staples has worked with over 25 utilities in 9 states, presented to half a dozen commissions & city councils, and implemented one of the first ever Behavioral DR programs. 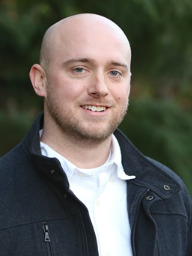 Bio: Jeff Soplop has over 10 years of experience in energy efficiency and energy management. He currently oversees a portfolio of technology and data analytics projects across a range of utility demand side management projects as a part of ICF’s Energy IT team. Mr. Soplop’s previous experience includes developing team members, processes, and tools used in analyzing energy usage, infrastructure, and operations to increase energy savings. He also led research and development for smart building technology using predictive analytics methods and tool sets including statistical analysis, machine learning, neural networks, fault detection and diagnostic algorithms, and asset optimization. Prior to joining ICF, Jeff was the Director of Client Solutions at EnergySavvy and the Director of Solutions Development at Phoenix Energy Technologies for several years respectively. 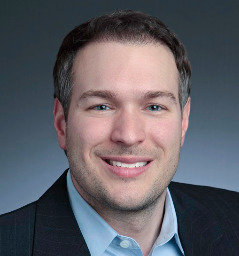 Bio: John Augustino is an energy solutions architect for Honeywell’s Smart Energy business where he focuses on program design, development and deployment of energy efficiency, demand response, and smart grid related solutions. As an experienced energy auditor, he has over 28 years’ of industry experience including design, deployment, and management of more than 20 programs in US and Canada. 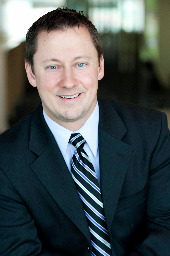 Bio: John Hargrove is the President and Chief Executive Officer of the Association of Energy Services Professionals. He assumed that position in early 2015 and prior to that, spent over 35 years in the utility industry, primarily in the energy efficiency, renewable energy, and energy services fields. Analyst, The Cadmus Group, Inc.
Bio: As a digital content expert, I specialize in growing clients' social media pages through innovative content strategies and customer engagement techniques. These strategies include podcasting, videography, custom graphics and images, contests and promotions, and conducting research on each social media platform to stay ahead of emerging trends. During my time at Cadmus, I've utilized social listening tools and other marketing platforms to inform my content strategy, leading to content enhancements, positive brand recognition, and increased participation in energy efficiency programs. As a millennial with a few years of experience in the service industry, I've been able to develop tactics for engaging with customers that goes above and beyond their expectations, often turning disgruntled fans into positive brand ambassadors. 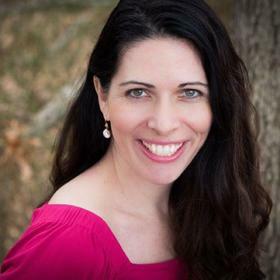 Bio: As Fiveworx Director of Strategy and Marketing, Laura oversees company strategy and positioning, marketing, market intelligence, business development, strategic partnerships, and existing business expansion. She is serving her third term as a proud member of AESP's Board of Directors and also is Co-Vice Chair of AESP's Topic Committees. 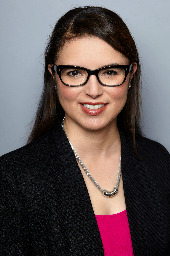 Bio: Laura is the VP of Product Marketing at AtlasRTX. Laura blends extensive Software-as-a-Service (SaaS) and agency experience, along with a love for marketing and passion for data, to help clients unlock the potential of emerging technologies to develop memorable customer experiences that drive revenue and retention. She is a versatile marketing leader and accomplished writer, with nearly twenty years of experience. Bio: LeAndra MacDonald is a director in Nexant’s Utility Energy Services business unit and is based out of San Francisco, CA. . She leads Nexant’s Innovation and Product Development team devoted to incubating and developing innovative offerings and services such as "Test-and-Learn" practices and analytics-based small business and retro-commissioning programs. She works closely with the Business Development team and Marketing to translate products and services into sales enablement resources and go-to market strategies. 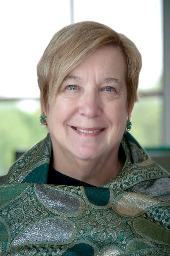 Bio: Linda Dethman, a Vice President at Research Into Action, has worked with clients for over thirty years to help create programs and markets that encourage people and businesses to adopt sustainable energy and water practices, from turning out lights to constructing zero energy buildings. She focuses much of her work on fostering behavior change and customer engagement related to clean energy programs. One of her favorite projects was to work with Indian consumers to develop a user-friendly appliance efficiency label which now adorns Indian refrigerators and hot water heaters. She currently is working on customer engagement projects with PG&E, Efficiency Nova Scotia, Energy Trust of Oregon, and other clients. 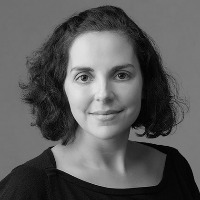 Sr. Energy Data Scientist, Tendril Inc.
Bio: Marissa Hummon is head of demand management solutions and a senior energy scientist at Tendril, a provider of customer-facing software to the energy industry, based in Boulder, Colorado. Previously, she spent five years at the National Renewable Energy Laboratory in the Energy Analysis group. Marissa started her career in grid integration of renewables by looking at some of the core problems with modeling the intermittency and variability of renewable technologies. Before joining Tendril, she worked on quantifying the value of demand response and storage technologies in wholesale electricity markets. Bio: Mark Michalski, a senior associate with Cadmus, has a decade of energy-efficiency program and evaluation experience, focused on retail products. 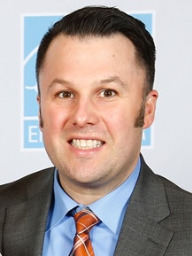 He leads the strategic marketing services practice within Cadmus’ energy services division, and is the project manager for the Massachusetts Lighting & Consumer Products marketing initiative. He also works in support of the ENERGY STAR® Program focused on marketing consumer electronics and water heaters. 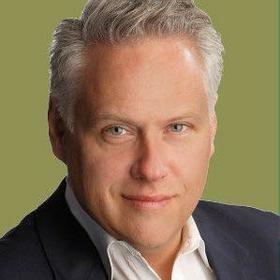 Bio: Matt leads Evergreen Consulting Group’s team of professionals that motivate trade ally networks in the western United States. Drawing on his technical and management background, combined with a national energy efficiency perspective, he helps clients achieve their goals in consideration of the changing energy policy landscapes on a local level. Bio: For more than a decade, Paul has lead brand development and marketing design for energy efficiency programs within the utility sector. In 2014 Paul designed and facilitated one of the largest nationwide utility studies outlining the growing influence of distributed generation on customer satisfaction and perception of energy providers. A versatile strategic marketing director and market research professional with 20-years experience, Paul has a unique combination of skills in brand development, creative supervision, market research and management of retail marketing platforms. 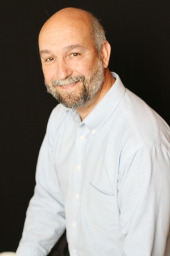 His applied experience includes brand platforming, consumer messaging research, patent-pending work in web-based perception analysis testing and in-depth implementation of both behavioral and motivational segmentation modeling. He is a certified focus group director. 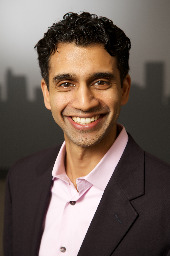 Bio: Senior Vice President and Practice Leader at Environics Analytics, Rupen Seoni leads a practice area that includes government, non-profits, energy and consumer goods. He brings over twenty years of experience in market analytics, working with market leaders to unlock the value of information in decision-making and business strategy. His practice area specializes in helping public-sector organizations understand population trends, segmentation and performance benchmarking. Rupen appeared on CTV’s 2015 federal election coverage as a commentator on voter demographics in key riding races. Bio: Sandi manages corporate marketing for GoodCents® and provides support to the program-specific marketing directors. She has 10 years’ experience in the energy industry, focusing on sales and marketing. Sandi has broad knowledge of the energy efficiency, demand response and renewable energy markets. 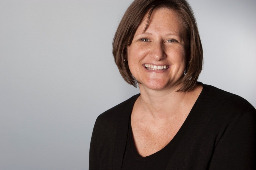 Prior to her current position, Sandi was a field marketing manager for GoodCents®, working with such clients as Indianapolis Power & Light, Dominion East Ohio Gas, American Electric Power Ohio, Duke Energy, CenterPoint, Georgia Power and more. Before joining the GoodCents® team, she was a sales director, marketing manager and client services manager in the renewable energy industry. 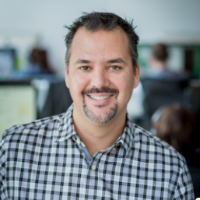 Bio: With 15 years experience providing custom engagement solutions, Seth now matches Enervee's custom Marketplace platform with each utility's distinct needs. As a Greentech Media 2017 Grid Edge Award winner, Enervee powers a wholly unique approach to attract and engage your audience, facilitating conversation with your customer. Bio: Tom Brubaker works with PECO as a Senior Marketing Specialist leading energy efficiency promotions for the Commercial & Industrial sectors. He began working with the utility to help launch PECO Smart Ideas to meet PA Act 129 requirements. In addition to energy efficiency, Tom develops strategic plans and tactical support for the company’s natural gas initiatives, manages commercial customer communications and serves as a Public Information Officer for the company. Prior to joining PECO, Tom’s marketing and communications experience included work in financial services and commercial lending, both domestically and internationally.